Dr. Nathan Speer joined our practice in August of 2018. 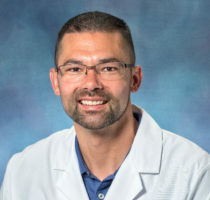 Dr. Speer completed his pediatric residency at Texas Tech University Health Sciences Center and his medical degree at Paul L. Foster School of Medicine in El Paso. U.S. Army veteran and former Chemistry and Physics teacher in Fort Worth ISD. As a pediatrician, Dr. Speer aims to follow the footsteps of The Great Physician and partner with families to provide the best care for their children.